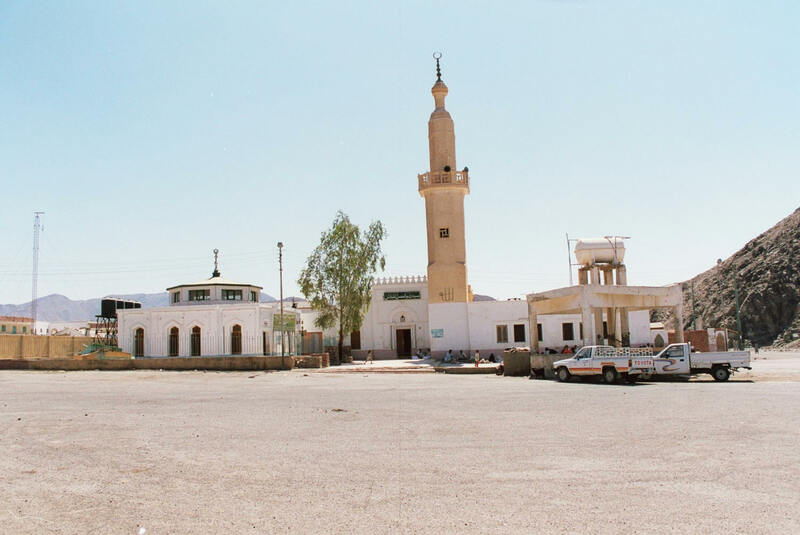 At the southwestern border of Wadi El-Gemal National Park lays the shrine of Abu El Hassan El-Shazli , the most famous Islamic Shrine in the Eastern Desert . El-Shazli is one of the figures of Sufism , he was born in Morocco where he grew up and became a religious thinker . El-Shazli traveled widely in his religious quest . He traveled to Baghdad and then Tunisia where he lived in a town called Shazla ( hence his name ) . Then he moved to Tunis , where he became a popular figure . Then he moved to Cairo and after that to Upper Egypt . In 1258 , on his way to perform pilgrimage eventually traveled to Egypt and stayed in Alexandria where he preached to Mecca Abu El-Hassan El-Shazli died in Wadi Homaythara where he is buried . A shrine was built for him and became a popular site for the followers of his school from Egypt and North Africa .The Ministry of Islamic Endowments built the new Shazli Mosque in 1969 .